Weigthlifting Fairy Kim Bok-Joo: Effortless sa Kilig!!! Watching KDrama's takes a lot of effort and hours as you binge-watch through the long series while multi-tasking on reading the subtitles. It is not easy so I found my way resting for a while. But, I still found my heart catching up on those series that I wanted to watch. I was able to finish a few series while on 30 mins breaks & in the carpool. Multi-tasking to the highest level yo! :) Now I am back with a new review! 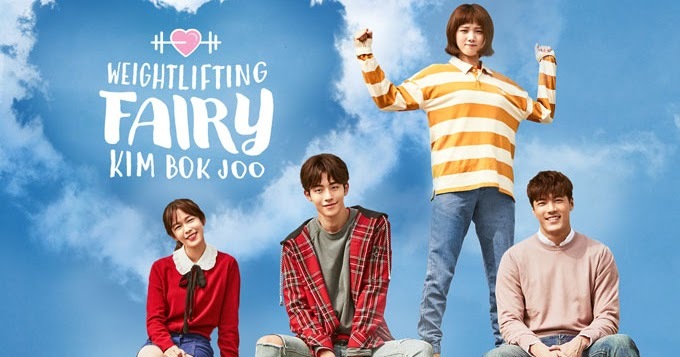 I am done watching Oh My Ghost, Go Back Couple and What's Wrong with Secretary Kim but on this post I will review Weightlifting Fairy Kim Bok-Joo first. (kasi I can't contain my kilig feels!) I know I am a bit too late on watching this series as this was released last November of 2016. Nag-date na nga in real life yung lead actors dito, balita ko din break na sila. Nagpunta na din si Nam Joo-hyuk dito sa Pinas last year for Penshoppe and here I am ngayon ko lang napanuod! :D Grabe sa pagka-late! But nevertheless, better late than never! He He He! At first, I was really hesitant on watching it because it tackles about a girl who is into weightlifting. It is kinda unusual for me, but it is also the reason why I got curious. After watching Strong Woman Do Bong-Soon, my co-workers advised me to watch WFKBJ too! A coming-of-age story about a group of college athletes who are fighting for their dreams, experiencing and finding love in the process, and growing every step of the way. Kim Bok Joo is a weightlifter who has a crush on Joon Hyung's older brother, Jung Jae Yi. At first, Joon Hyung teases her and goes along with her act, but soon after that, he himself falls for her. As usual, the 2 main casts have a great chemistry. Though I am doubtful about Lee Sung-kyung's portrayal as a weightlifter because look at how skinny she is, I can still see her angas weightlifter feel. I think Lee Sung-kyung gave justice to a young girl having all that insecurities and it pinched my heart seeing her in pain because her crush is not liking her back. Aminin mo, we all went thru that phase. I always fall for the boy! Geez! I sounded like a high school girl and I admit that watching this series gave back a few memories of teeny boppy feelings with your high school sweetheart, first love, first crush and so on. Nam Joo-hyuk is so charming and cute that I want to put him on my pocket! He is actually that guy from high school who would tease you nonstop but he actually likes you! Aigoo! Kang Ki-young as the uncle of Kim Bok-Joo is almost everywhere in KDrama's I've watched so far! Though he is funny here, I liked him more on What's Wrong with Secretary Kim as the funny bestfriend. 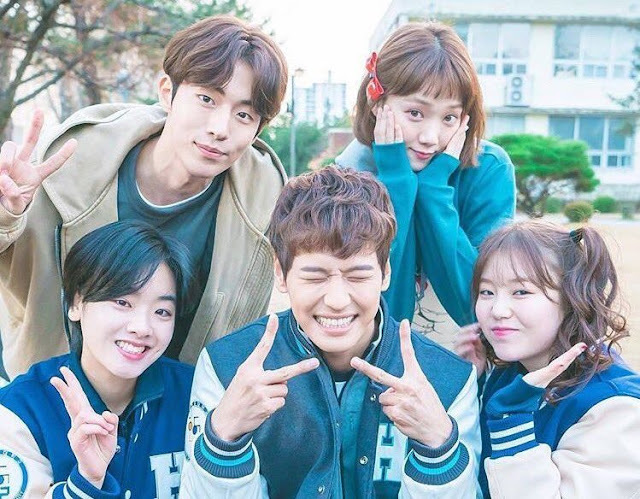 I loved the transition of the lead casts from being friends to being girlfriend/boyfriend. Hindi sya minadali which is somewhat real. And who wouldn't like the cheesy scenes? It was all so natural and realistic, hindi nakakasawa! Effortless sa kilig! This series is not only a love story. It also described the struggles, perseverance, and determination of an athlete. And did you know that this KDrama was actually derived from a real weightlifter story? The friends of both the lead casts are fun to watch. Their friendship is also relatable. A few of my favorite scenes is Kim Bok-Joo with her friends while eating, crying, singing, and even saying their favorite expression 'SWAG'! With its realistic, light & simple story-line, charming & lovable characters, WFKBJ is by far one of my favorite KDrama of all time!